About "Completing the Square Worksheet"
Worksheet given in this section is much useful to the students who would like to practice problems on completing the square. Write x2 + 6x + 7 = 0 in the form (x + p)2 = q. What is the maximum or minimum value of the graph of the equation ? Alex plans to create rectangular shaped garden. He has 340 m of fencing available for the garden's perimeter and wants it to have an area of 6000 m2. What dimensions should Alex use ? Determine the constant needed to complete the square. So, (b/2)2 = (6/2)2 = 32 = 9. In (1), we have to add 9 to each side. Write the left side of the equation as a perfect square. Recognize that the quadratic equation is a perfect square trinomial. Factor the perfect square trinomial. Take the square root on each side of the equation. Hence, the solutions are -13 and 1. So, (b/2)2 = (-8/2)2 = (-4)2 = 16. In (1), we have to add 16 to each side. Hence, the solutions are -1 and 9. Factor out the x2 coefficient, -1. The vertex of the parabola is (1, 4). In the given equation y = -x2 - 2x + 3, the sign of x2 is negative. So, its graph is a parabola that opens downward. 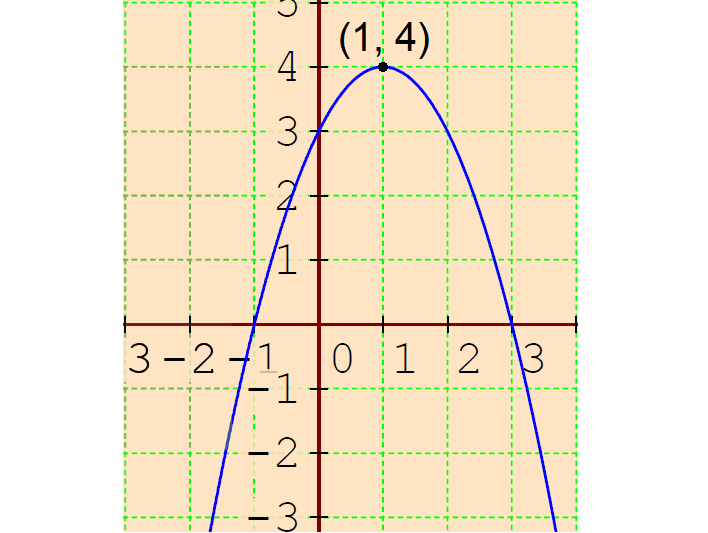 The graph of the given quadratic equation has a maximum of y = 4 at x = 1. Let x and y be the length and width of the garden respectively. Alex wants the area to be 6000 m2. Write this as an equation. So, (b/2)2 = (-170/2)2 = (-85)2 = 7225. In (1), we have to add 7225 to each side. In each case, there is 340 m of fencing used. Likewise, the area is 6000 m2. Hence, Alex should make two sides of the garden 120 m long and the other two sides 50 m long. After having gone through the stuff given above, we hope that the students would have understood, "Completing the Square".